A full range of safety supplies to help you protect your employees against injury and damage to skin, ears, eyes, the respiratory system and other body parts, along with first-aid kits for immediate assistance. 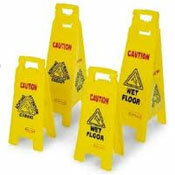 Every office and plant environment should protect workers from the hazards that could cause injury. 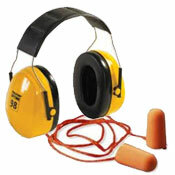 We provide the widest range of preventive supplies and devices, to help you keep your employees safe. 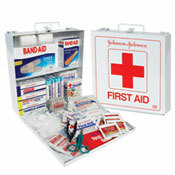 And, if accidents or mishaps should occur, we also supply first-aid kits for immediate assistance. The Occupational Safety and Health Administration’s Code of Federal Regulations, No. 29 is clear: “Employers shall select and require employees to use appropriate protection when employees are exposed to hazards, such as those from skin absorption of harmful substances, severe cuts or lacerations, severe abrasions, punctures, chemical burns and harmful temperature extremes.” This is the regulation you as an employer must adhere to. 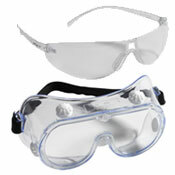 Our safety supplies help you comply and avoid the problems of non-compliance. When a noise is loud enough that you feel the need to “raise your voice” at a distance of 3 feet in order to be heard, the noise levels are probably above 65 dB, and long term exposure can be hazardous to your hearing. Many companies do not consider the repercussions of unsafe employee conditions, and then suffer from negative employee reactions, negative impacts on protection levels, regulatory fines and sanctions, higher insurance premiums and, sometimes, legal liability and law suits. 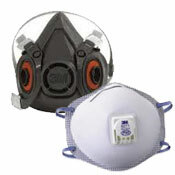 These kinds of problems can be avoided with the right safety supplies, along with the proper utilization of them. Our safety supplies are manufactured by the best and most respected firms, like Aero, Ansell, Edmont, Galaxy, Johnson & Johnson and other leaders. 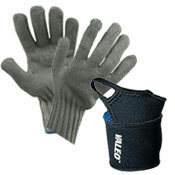 Because of the wide range of product lines we represent, we can meet virtually all requirements in sizes and standards.